This project was the largest capital improvement project by the Public Works Department in the city’s history. 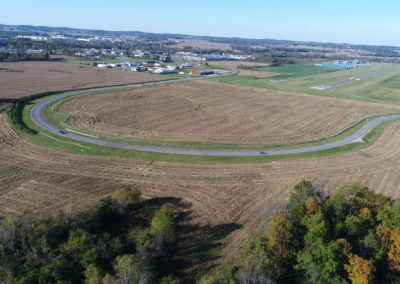 Republic Road is classified as a primary arterial and considered a major east/west corridor vital to future growth and economic development for the southern half of Springfield and Greene County. The existing three lane section was widened to five lanes with a signalized intersection. A total of over 6,500-feet of roadway was constructed as part of the improvements. The intersection and corridor accommodated new on-street bike lanes and sidewalks on both sides with pedestrian signals within close proximity to the medical mile of the Springfield area. Construction staging and temporary traffic signal design accommodated full access during construction to surrounding businesses and other stakeholders in the area. 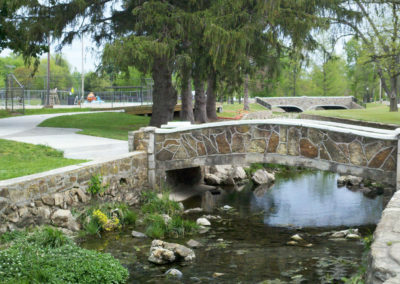 A Value Engineering study was performed by Crawford, Murphy & Tilly (CMT) during the design process resulting in extensive improvements to accommodate connectivity of a greenway path under Republic Road. The study also revealed cost-effective design solutions that included the re-use of existing pavement within the project limits resulting in overall cost savings. 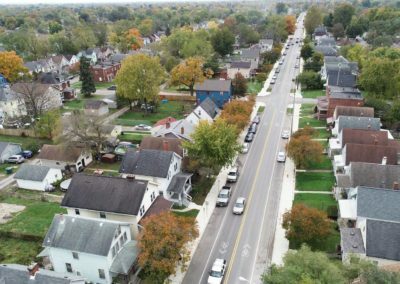 The project included the boundary survey and right-of-way acquisition of over 40 parcels with right-of-way plats, easement descriptions and exhibits for the entire corridor. Due to the commercial and retail density along the corridor, extensive utility coordination was required to relocate nearly all utilities within the project limits. Successful coordination with utilities, environmental department and private communication companies resulted in limited delays and complications during construction.